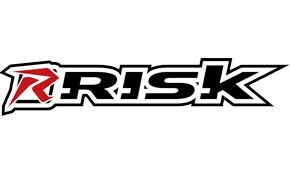 RISK RACING SEAL DOCTOR SMALL Fork Seal Doctor Most dirt bike riders are faced with leaky fork seals several times a year. Riders are then challenged to repair a complicated and sensitive suspension system which requires specialty tools. The alternative is to pay for an expensive repair bill and take time off the bike while it is in the shop. Additionally, it can ruin a race day or an epic trail ride.The majority of fork seals leaks due to dirt being trapped in the seal. Obviously this leak will affect the suspension tuning of your bike. It can also soak your front brake pads creating unsafe riding conditions. This common problem is exactly why the Seal Doctor was designed. The Seal Doctor removes the dirt that typically causes a leaky seal....and you can do it right at the track or on the trail. The Seal Doctor also comes with a protective holder so that it can be stored safely in your toolbox or trail pack ensuring you always have the appropriate tool for the job. It is important to note that although the majority of fork seals leak due to debris caught in the seal, some seals leak because they are torn, damaged, or there is a knick in the fork tube.